Companies have invested significant budget and resources to make their websites content-rich destinations that effectively tell stories about their brands and products.In recent years, social media, blogs and product reviews sites provide lots of information. Product reviews become more and more important not only to the companies developing the products, but also to their rivals and potential customers. Analyzing product reviews is the task of tapping this goldmine of information. Company can classify customers opinions and feedback instead of taking the complete sentence. Customer reviews can be analyzed and trended over time. This allows the business owner to measure the extent to which business changes have impacted customer satisfaction. Evaluating each feedback will be helpful in understanding the needs of individual customers. However, it will be even more helpful if you review the comments in batches and uncover patterns in the responses by categorizing them. 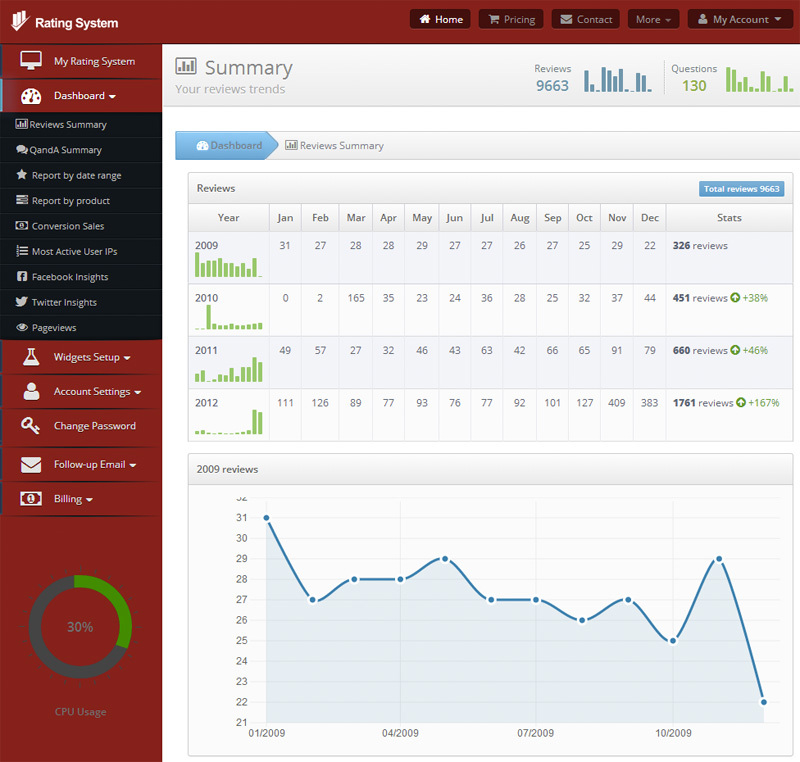 Sample categories could include factors such as quality, accuracy, value for money, availability, gender, location, etc. Some reviews are positive and some are negative. It’s possible to have both positive and negative comments in some categories. Carefully analyzing customer reviews and taking action based on customer comments will help you strongly influence buying behavior and drive commerce. Reviews trends allow you to assess how your data has changed over time and see if the number of satisfied customers has gone up or down over the course of the year. Reviews, Questions and Answers trends are available on all subscription plans. From Dashboard, click the Reviews or Q&A summary. The Rating Breakdown allows you to create a visualization that displays the number of reviews that are associated with each star rating. What is the overall trend in number of reviews left and average review score across our company? What buyers and suppliers are responsible for the highest rated products and lowest rated products? These data can offer a starting point for figuring out if there was a legitimate reason for the bad rating. We want to share our recent client findings from product reviews A/B testing. 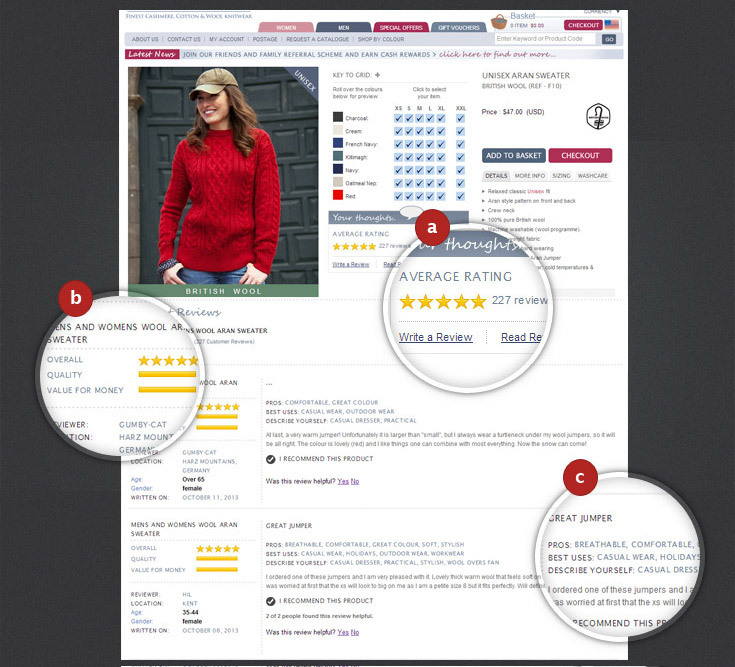 Product reviews helping visitors navigate and making the visitor more likely to buy. A/B testing is a simple way to test changes to your page against the current design and determine which ones produce positive results. It proves that customer reviews on your webpage is improving your conversion rate. An A/B test involves testing two versions of a web page — an A version (current product details page without reviews) and a B version (new product details page WITH customer reviews) — with live traffic and measuring the effect each version has on your conversion rate. 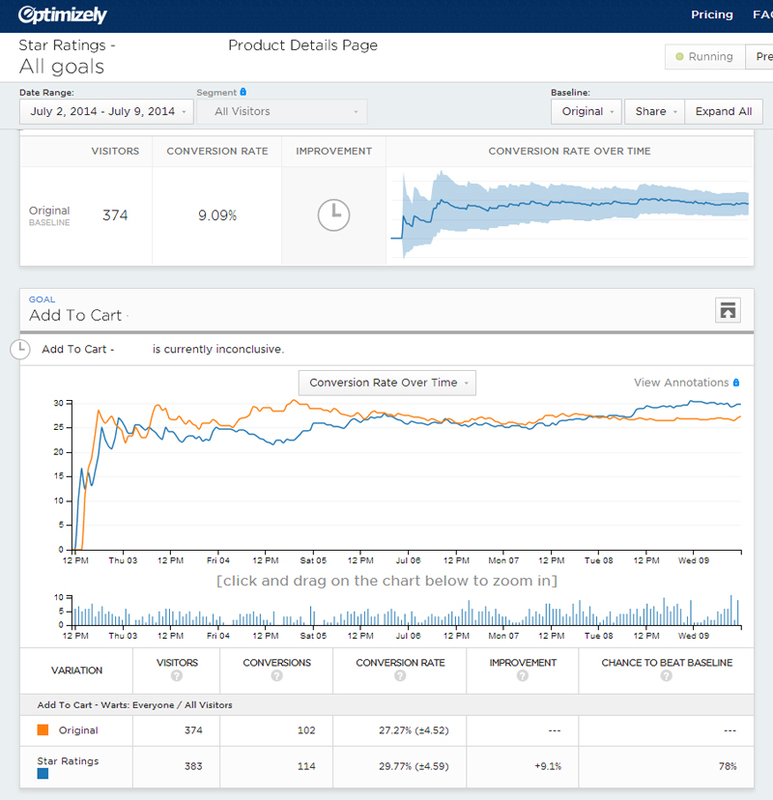 The new product details page with customer reviews delivered a 9.1% conversion rate increase over the previously optimized page. Push notifications are one of the most valuable capabilities of native apps, and this capability is now available on the web. 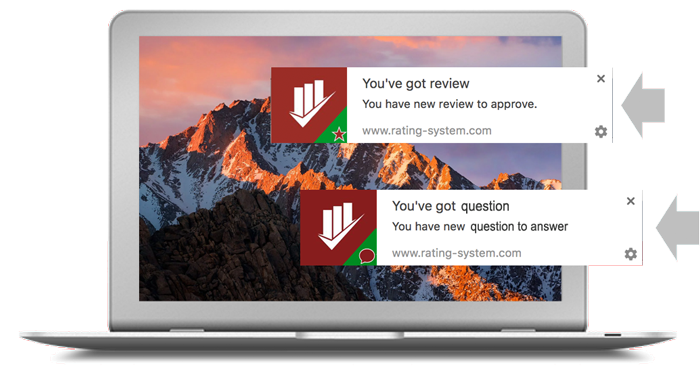 We can push notifications to your desktop when you receive a new Review or Question. The Right Message, at the Right Time. Our push notification is a message that pops up on your computer. We can send them every time your customer submits a review or asks a question using our Q&A solution. Your customer service team doesn't have to be in the app or using their device to receive them. From the Notifications pop-up end users can read, approve a Review or answer a Question as soon as your customer submits it. Push notifications are sent to all devices and desktops registered to your account instead of a specific device registration ID, which ensures that your customer support receives all notifications on all of their devices rather than just one. The same notifications are accessible from any registered device and/or computer. When an end user taps or clicks the Notification, the review approval view or question answer view opens, so you can reach your customers instantly. You can activate your push notification on Account Settings -> Notifications page.